The theme parks on the Romagna Riviera are renowned for entertaining thousands of tourist every year. 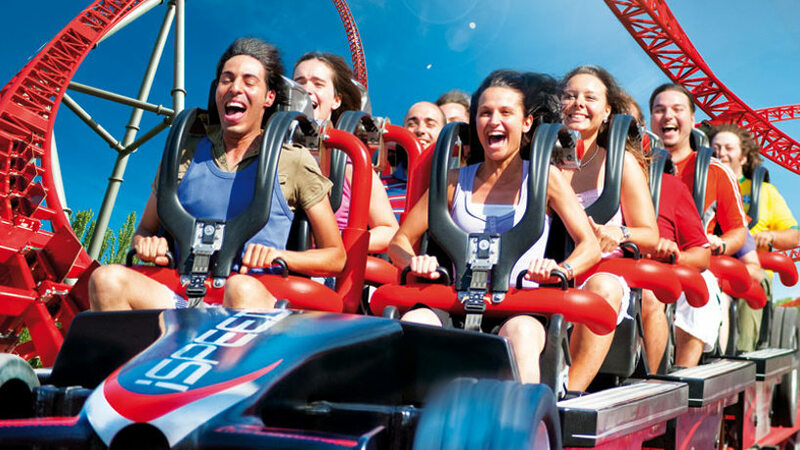 Mirabilandia is definitely the number 1 park on the Romagna Riviera. It was founded in 1992 and is a must for all visitors to the Riviera. The park is suitable for young children and young people as it features many games that have been especially designed for them. The truly brave can experience high speed excitement on extreme attractions that include the most recent I-Speed, which performs like a veritable Formula 1 racing car. Other renowned attractions are the twin towers known as Discovery and Columbia for those who do not fear the feeling of void experienced when you challenge gravity, as well as the Katun, the Rio Bravo, and the Ferris Wheel. Other “quieter” entertaining attractions for families are the Enchanted Pots, the Delirium Skeleton Ride, and the Hot Air Balloons, that lift off the ground and rotate 360 degrees while tilting on their axis. More recent attractions include the Reset, which is a completely dark route where brave adventure seekers have to hit luminous targets while they are on board space ships that rotate on their axis. In 2009 the I-Speed took the place of the Sierra Tonante, a roller coaster created entirely out of wood, which has been turned into the tallest and fastest roller coaster in Italy with a height of 55 m and an acceleration force of 0 to 100 Km/h in just 2.2 seconds, reaching a top speed of 120 Km/h. The most recent attraction in the park is the Divertical, a 60 m tall water coaster that reaches a top speed of 106 Km/h. It was opened in June 2012.